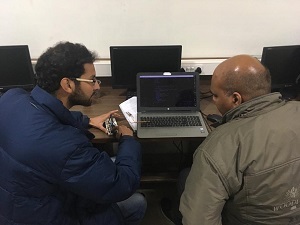 Founded in July 1987, the Department of Computer Science is a center for research and education at the post graduate level and one of the top computer science departments in North India. 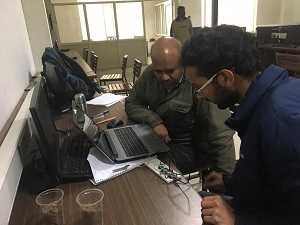 Strong research groups exist in areas of Natural Language Processing, Pattern Recognition, Digital Image Processing, Parallel Computing and Mobile Computing. 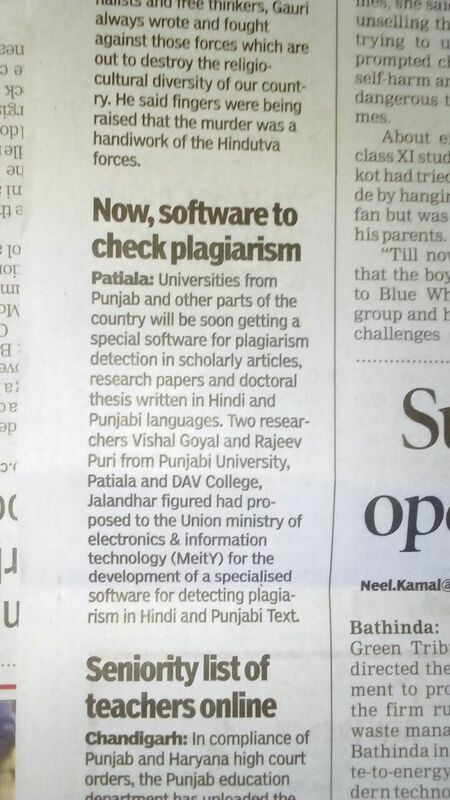 Close ties are maintained with researchers with computational interests in departments of other universities. 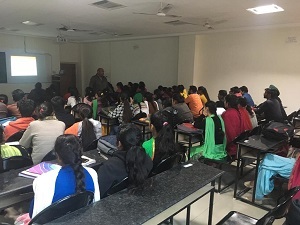 In recognition to its academic and research activites, U.G.C has brought the Department under its Special Assistance Programme for two consective periods of five years each. The Department was first brought under SAP(DRS) in April, 2004. The Department has now been upgraded from DRS to DSA level with effect from September 2009 for another five years. 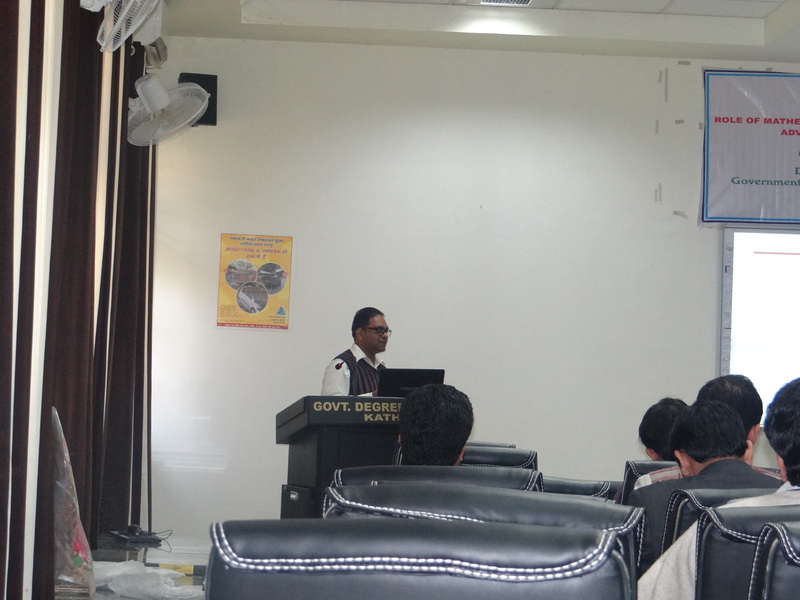 The Department was sponsored by Department of Science and Technology (DST) for FIST(Level 1) program in 2006. 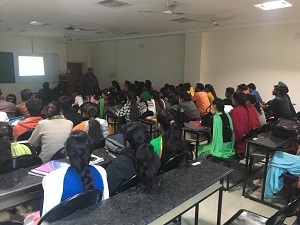 The main educational goal is to prepare students for research and teaching careers either in universities or in industry. The department was one of the first departments in the region to start the 4 year B.Tech. course in Computer Science in 1987. 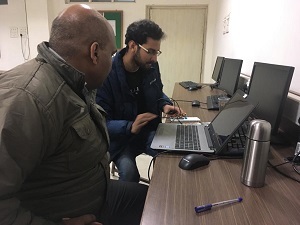 From the year 1991, the Department introduced 3-year post-graduate degree course Master of Computer Applications (MCA) course. From the academic year 1995-96, M.Tech. 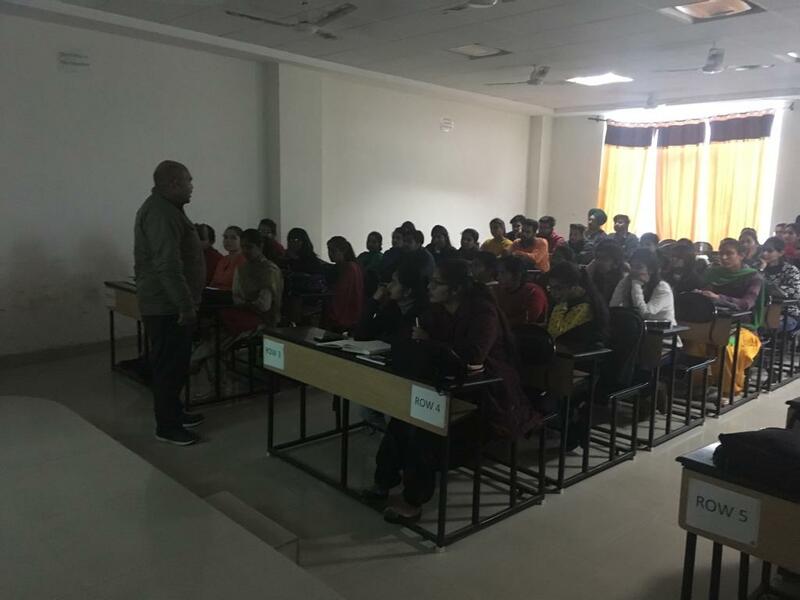 Course in Computer Science and Engineering (CSE) was introduced. 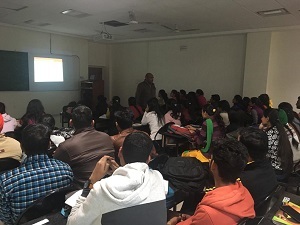 To cater to the growing demand for trained professionals in internet and communications technology, another M.Tech course in Internet and Communication Technology (ICT) was started from the academic session 2006-07. 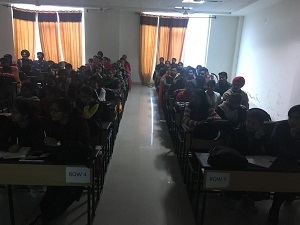 The department has started M. Phil (Computer Science) a regular program, M.Tech (Computer Science) a part time and 3 year program from academic year, 2011. ਪੰਜਾਬੀ ਸਪੀਚ ਸਿੰਨਥੀਸਿਸ ਐਂਡ ਗੁਰਮੁਖੀ ਓ.ਸੀ.ਆਰ. The library serves as a central organ of academic activity in the Department. The Department has a rich & vast collection of more than 6000 books, periodicals and reports. It also has one copy each of all projects, M.Tech. and Ph.D. dissertations carried out in the department in recent years. All these cater to the needs of students and faculty. Most of the books are of recent edition with the facility of issuing these for a specified time period. The library serves to provide a calm and cozy ambience conductive to long hours of study. The library opens on all working days of the Institute from 9 AM to 5:30 PM. Computerized cataloging and the active help of the library staff makes searching for volumes easy. 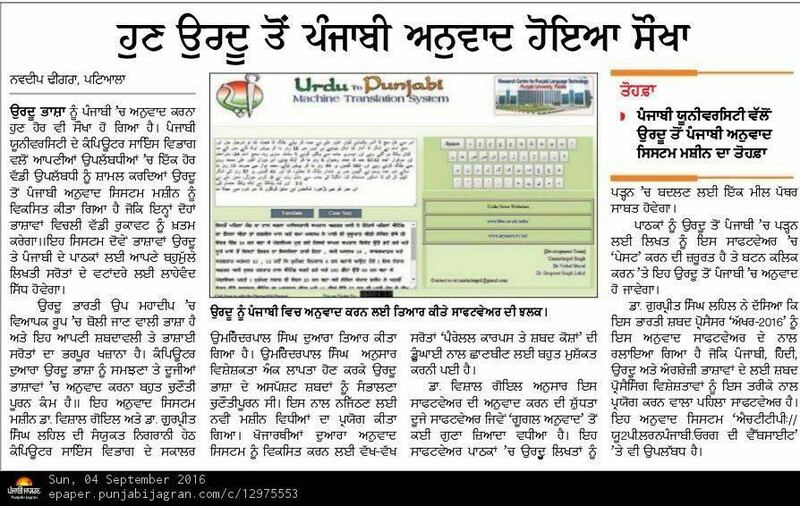 Hindi to Punjabi Machine Translation System in 2011. Registration No:SW-4764/2011 Dated 21-03-2011. Young Scientist Awardee 2005 at 8TH Punjab Science Congress at Punjab Science Academy, Punjabi University, Patiala. 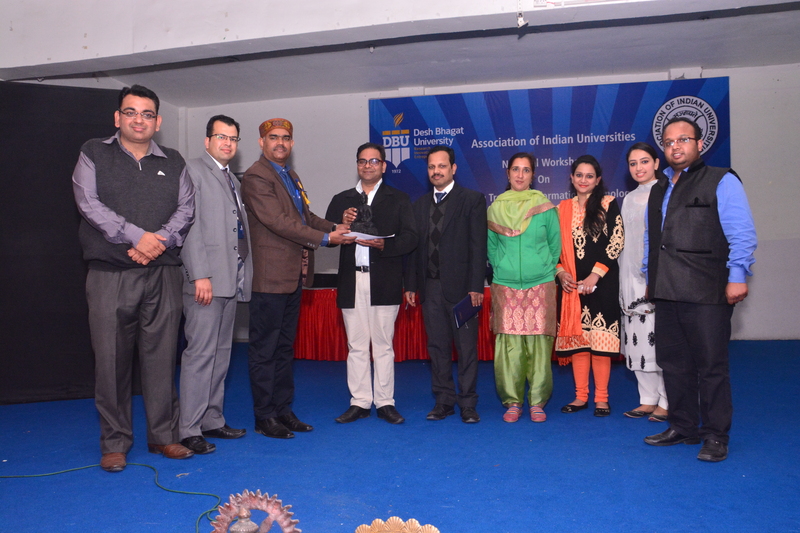 Honorary Membership by North America Punjabi University Alumni Association, North America. 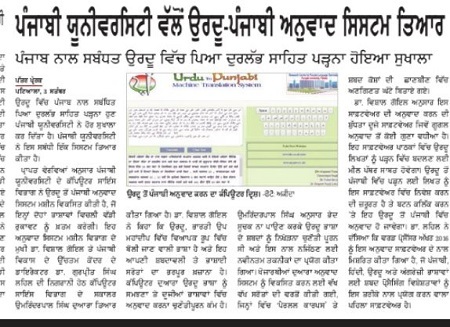 National Merit Scholarship Award by Punjab School Education Board , Mohali. Biography published in Marquis Who’s Who in the World (USA) 2009 in Science and Engineering. Certificate of Appreciation By JETWI. RAFIT 2005, National Conference on Advances and Future Trends in Information Technology. 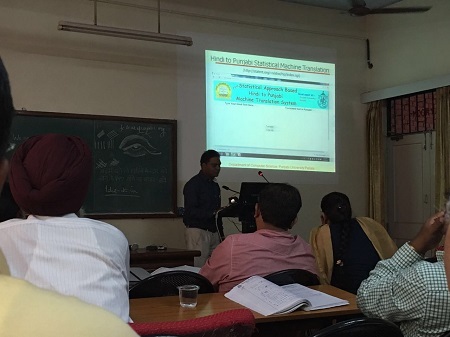 Dr. Maninder Singh Guravtar Singh Development of IEEE 802.11e Channel Access Scheme for Improving Quality of Service. 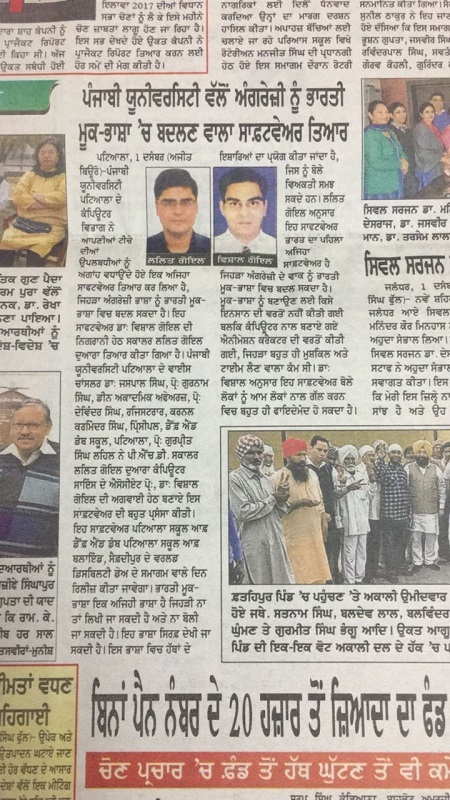 Dr. R.K. Bawa Dr.Narinder Kumar P.U.Chd. 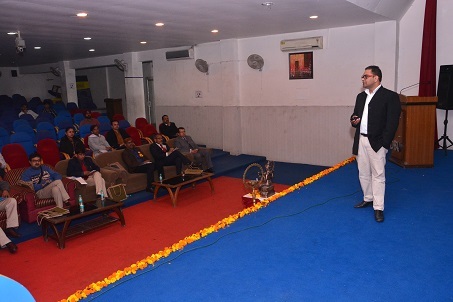 Harminder Singh Deosi "Online Gurmukhi Handwritten Recognition using Statistical Approach"
Dr. R.K. Bawa Sarpreet Singh "On Optimizing Performance of Resource in Grid Computing"
Companies like Infosys technologies, Tata Consultancy Services, Tech Mahindra, Newgen, ATOS etc. visit the campus regularly. 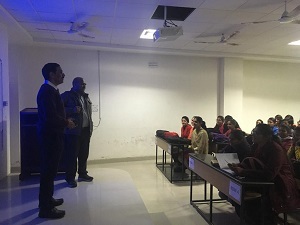 University is the Advanced Partner of Infosys technologies under their Campus Connect Programme. 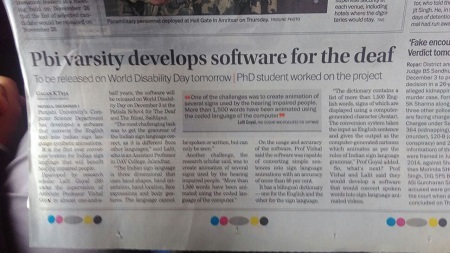 It has academic partnership with TCS, IBM also. 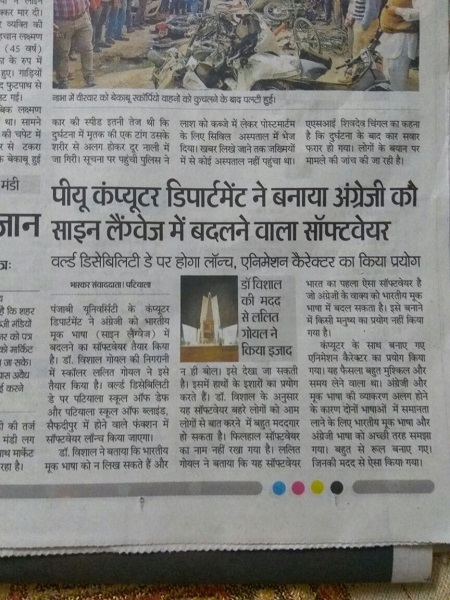 Department has very strong Alumni Association. It was started in 2006. Currently more than 120 alumnis has already been registered as Life members. 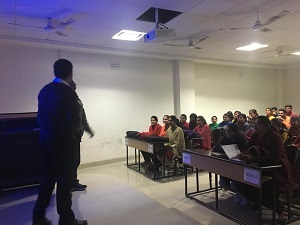 All the alumni members are connected to each other through the Yahoo group alumni_dcse_pbiuniv. 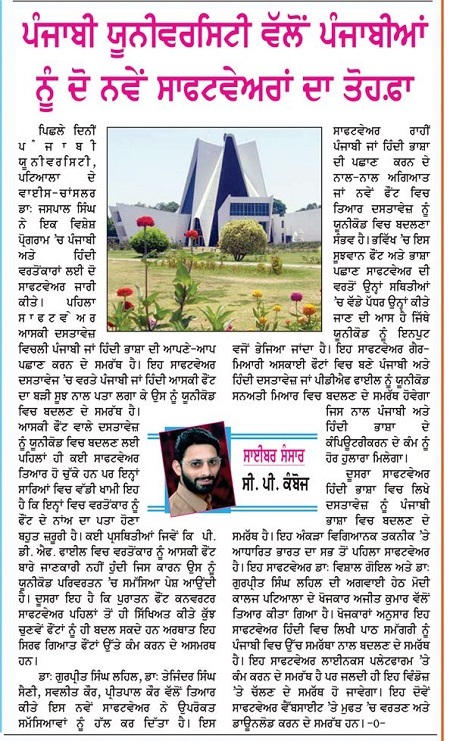 There is also very active department alumni group outside India under the name NAPAA (North America Punjabi University Alumni Association). 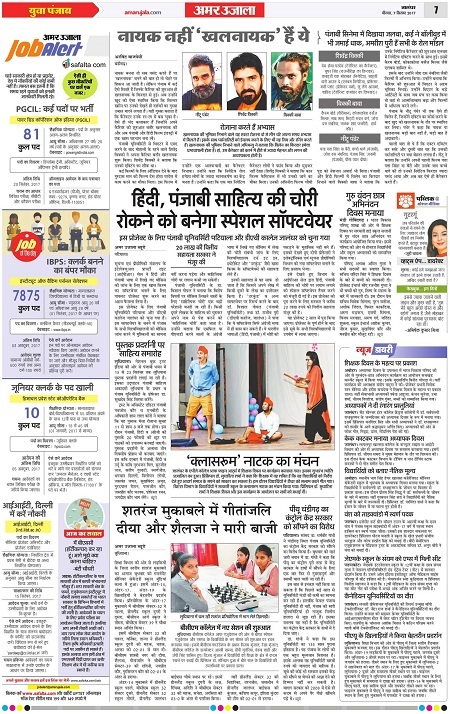 Publications, Click Here For More..
Books, Click Here For More.. 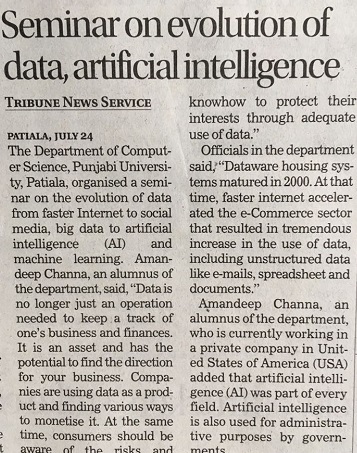 Headline - " Department's Alumni Mr. Amandeep Chanana (1997-2000 MCA Passout) presently working in Toyota, North America addressed Department Students and Faculty Members on the topic "Evolution of Data" on 23-07-2018." 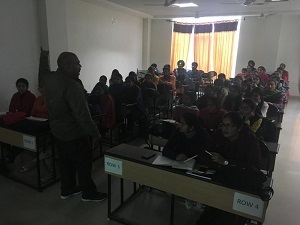 "Department Students demostrating their Projects related to Artificial Intelligence to Experts"
"Dr. P.S.Rana, Thapar University Patiala intreacting with Department students on Topic "Artificial Intelligence and Machine Learning" on 21-01-2019."